LORD Mayor Robert Doyle is set to jet off overseas on a ratepayer-funded trip to New York next month. Melbourne City Council will meet next Tuesday to decide whether or not to give the Lord Mayor the green light for the trip to the United States. Cr Doyle will be handed a kitty of $3500 for the one-week jaunt if it is given the go-ahead. The cash will go towards accommodation and expenses, according to council agenda notes. New York Mayor Michael Bloomberg has invited Cr Doyle to a summit on how to make cities more livable, sustainable and healthy. Costs for the trip will be met from the existing 2013-2014 annual plan and budget allocation, the notes state. Cr Doyle famously announced “no junkets” as his election platform in 2008, which he later clarified to mean he was opposed to trips that showed no benefit to the public. He did not make the same commitment last year when he was re-elected in a landslide. The agenda notes state: “This is an unprecedented invitation for the City of Melbourne. Last month Cr Doyle rubbed shoulders with Boris Johnson when the London Mayor visited Melbourne. In 2009 Cr Doyle stayed in a $1200-a-night hotel suite while in Copenhagen for global climate talks. On that occasion city ratepayers paid more than $50,000 for the trip and a stop-off in London. 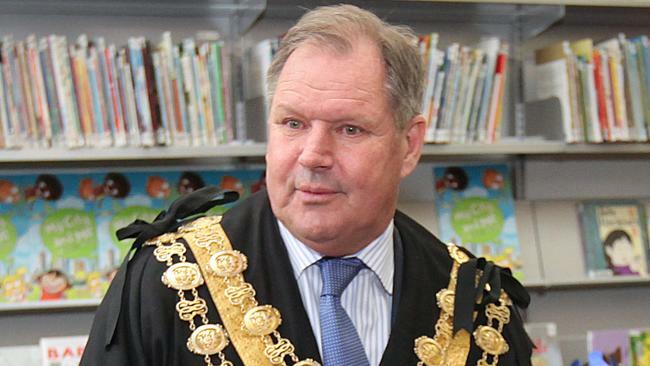 LORD mayor Robert Doyle received tens of thousands of dollars from donors connected to a property developer with big plans for Melbourne’s skyline, yet the official donation list obscures the businessman’s links to raising money for Cr Doyle’s re-election campaign. A Fairfax Media investigation of Team Doyle’s campaign funding has thrown doubt on a number of donors and revealed apparent breaches of the Local Government Act, with the official donation list containing misleading information, wrong names, wrong addresses and the non-disclosure of the members of a trust. 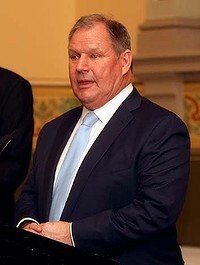 One of Victoria’s most experienced local government lawyers, Terry Bramham, described the Team Doyle official list, or return, as ”curious”. Mr Bramham said the questions raised by Fairfax Media were sufficient to justify an official investigation into city council campaign funding last year. The most notable transparency problem is the connection between Chinese-born Jeff Xu – a developer and entrepreneur who has pushed for the fast-tracking of high-density development in Melbourne – and donors named Yif Yufu and Amy Meng Li. Neither Mr Xu nor the companies he is publicly associated with are listed on the official return. The five Team Doyle councillors would therefore be unlikely to declare a conflict of interest when voting on applications from his many city business interests. But Fairfax Media has found that although Yif Yufu appears to be a person, the actual donor of $15,000 to Cr Doyle was Australian Yifu Investment Development Pty Ltd, which Mr Xu part-owns through his company J. Xu Nominees. Amy Meng Li, who lives in Maribyrnong and confirmed to Fairfax Media that she has no other business interests in the city, gave $8000 to Cr Doyle. She is an accountant for Dahu Nominees, of which Mr Xu is sole director and only shareholder. Ms Li said her donation to Cr Doyle was an individual decision, not on behalf of Dahu. She refused to comment further. Last year Fairfax Media revealed a property developer’s claims that Cr Doyle’s No.1 council candidate, Kevin Louey, had asked developers for tens of thousands of dollars in donations in return for access to Town Hall. In the wake of these articles, Mr Xu denied being asked to donate to the Doyle campaign or having promised financial support. The cash-for-access claims are being investigated by the Local Government Investigations and Compliance Inspectorate. Mr Xu on Wednesday refused to comment when asked if he had donated to city council candidates. ?Thousands of dollars were donated by people living in modest flats in Clayton South, Chadstone, Box Hill and Maribyrnong with no obvious link to the City of Melbourne. ?Donations to Team Doyle from the property industry were more than half – $200,000 – of Cr Doyle’s $380,000 declared re-election war chest. ?Despite legal requirements to name the trustees of any donating trust, Team Doyle failed to name the trustees of the Sydney-based Heng Xing Family Trust, which donated $20,000. Council candidates who received this money could be penalised as much as $40,000. ?Team Doyle member Kevin Louey’s return listed the Guangdong Association of Australia as donating $1000. But the Guangdong Association of Australia Inc has confirmed it did not donate. The Guangdong Overseas Friendship Association of Australia’s secretary, Tony (Yuan Hui) Du, said a member, a woman friendly with Mr Louey, had wanted to hide her donation from her husband. ”She asked if she could use the name of the association,” said Mr Du. ?Donor David Ting, who gave $2500 to Team Doyle, does not live at the Box Hill address provided on the return. ?Accountant Jian (Ken) Huang and his wife, Samantha To, are listed as contributing $5000. But Mr Huang said he believed their donation was actually $10,000. Mr Xu is building a Sheraton hotel in Little Collins Street and the Emerald apartments in South Melbourne. He owns the Rainbow entertainment complex in Bourke Street and has an interest in a string of central city restaurants. In its previous term, the Doyle council supported the 32-level Sheraton project and an extension of Mr Xu’s karaoke club’s licensing hours from 1 am to 4am. The extension was granted despite a ban on new liquor licences in the city beyond 1am. Confidential minutes from an internal licensing committee reveals that throughout 2012 Cr Louey attended meetings – not usually attended by councillors – at which Mr Xu’s licensing application was considered. In December Fairfax Media reported that the city council could be denied a say on key city building projects, with a majority of councillors conflicted by donations from active developers. Cr Doyle spoke to Fairfax Media on Wednesday on several occasions, criticising decisions by Planning Minister Matthew Guy, but did not return numerous calls for this story. Cr Louey told Fairfax Media that the name Yif Yufu did not ”ring a bell”, nor did he know David Ting. Cr Louey then ended the interview. Team Doyle councillor Arron Wood said he did not know any of the donors. Team Doyle councillors Beverley Pinder and Susan Riley did not return calls.